Originally the stars of Marc Brown’s book series, Arthur Read and his family and friends have been amusing—and educating—children via public television stations in the U.S. and Canada since September 2, 1996, which makes Arthur the longest-running animated children’s series in television history. Here are 12 things you might not know about Arthur, D.W., Buster, Francine and the rest of the gang on the 20th anniversary of their small-screen debut. 1. THE CHARACTER WAS BORN OUT OF A BEDTIME STORY. Marc Brown told the first Arthur story when his son, Tolon, requested a bedtime story about a “weird animal." In an interview with Scholastic, Brown said he was thinking alphabetically and “aardvark” was the first animal that popped into his head. Tolon is now a producer on the series. 2. ARTHUR WILL NEVER GROW UP. Arthur is and always will be eight years old. "He will never take the S.A.T.s," says Brown. "He will never have to worry about which college he will get in to. His life is perfect almost." 3. SOME OF ARTHUR'S ANTICS ARE AUTOBIOGRAPHICAL. 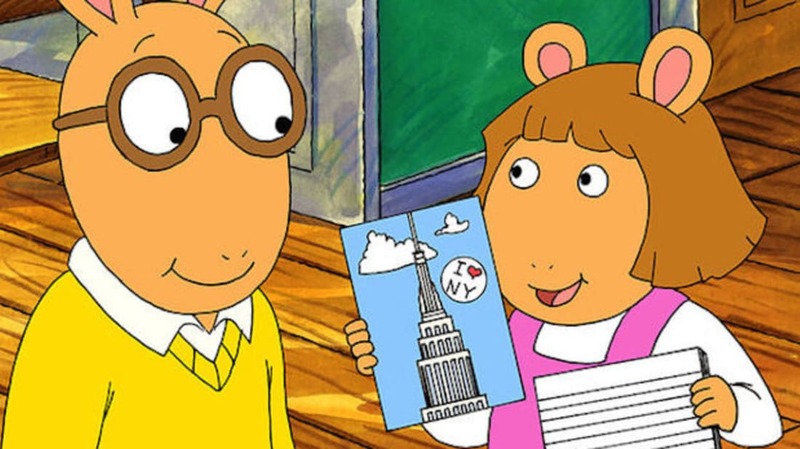 Brown pulls material from his own time as a third-grader to create Arthur’s world. The teachers, the principal, and even the notorious bully Binky Barnes of Lakewood Elementary School are based on real people. Brown’s younger sister, Kim, travels around the country giving talks about being the real D.W., Arthur’s sister. 4. THE THEME SONG HAS REALLY CAUGHT ON. The show’s extremely catchy theme song, “Believe In Yourself,” was originally sung by Ziggy Marley, but has been covered by the Backstreet Boys (on the show) and Chance the Rapper and Wyclef Jean (not on the show). 5. MOST OF THE KIDS ARE VOICED BY KIDS. Whereas many animated series employ adult voice actors for continuity, most of the characters on Arthur who are supposed to be children are voiced by child actors. Because of this, Arthur himself has been voiced by seven different actors (and counting). 6. MARC BROWN HAS MADE A HABIT OF HIDING HIS KIDS' NAMES. Since the second Arthur book, Brown has hidden his children’s names—Tolon, Tucker, and Eliza—in illustrations throughout the books. 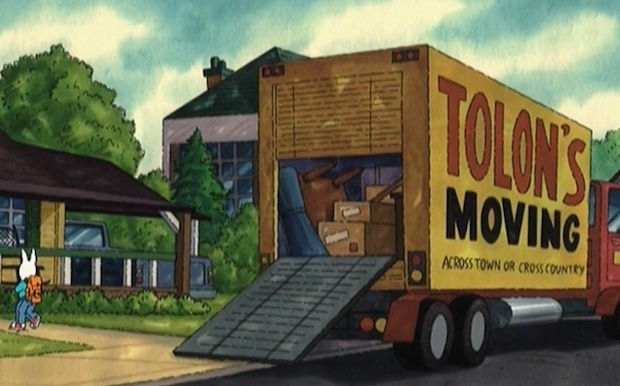 Their names also appear in the animated series: The moving company in Elwood City is called Tolon’s Moving and, in one episode, Muffy orders pastries from Eliza’s Bakery. 7. THE SHOW EMPLOYS DESCRIPTIVE VIDEO SERVICE. From the beginning, Arthur has taken its stated goal of encouraging positive social skills seriously. In addition to helping to foster an interest in reading and writing, the series made history in 1997 when it became the first daily program to make use of Descriptive Video Service, a program that describes the series so that it's accessible to blind or visually impaired viewers. 8. THE SHOW HAS WON SOME MAJOR AWARDS. In its two decades on the air, Arthur has earned more than two dozen Emmy nominations, and won seven of them. In 2000, the show received a Peabody Award for its "easygoing attitude, embracing intelligence and encouragement of self-empowerment and further learning for children everywhere." 9. ELWOOD CITY HAS WELCOMED A LOT OF FAMOUS VISITORS. Over the years, many celebrities have visited Elwood City in guest-starring roles on the show, including Fred Rogers, Matt Damon, Joan Rivers, Art Garfunkel, Philip Seymour Hoffman, Larry King, Yo Yo Ma, Alex Trebek, and even noted architect Frank Gehry, who helped the gang build a new treehouse. 10. MISTER ROGERS RETURNED THE GUEST STAR FAVOR. After Fred Rogers appeared on Arthur, he reciprocated the invitation and hosted Arthur (in the form of a puppet) on Mister Rogers' Neighborhood in 1999. In the episode, Mister Rogers visits Brown in his studio before Arthur makes an appearance in the Neighborhood of Make-Believe. 11. BUSTER GOT A SPINOFF. Arthur’s pal Buster the Bunny was the star of his own spinoff, Postcards from Buster, which featured the character traveling North America with his pilot dad and sending video postcards that featured real people back to his friends. The show found itself at the center of a controversy in 2005 after parent groups objected to an episode that centered on two kids with gay parents. 12. THE SHOW SPRINKLES IN PLENTY OF REFERENCES FOR GROWN-UPS.